If you’ve ever put cut apples in your lunch, or served them on a plate as an afternoon snack, you’ve most likely noticed that some browning of the flesh starts to occur not long after they have been cut. Many of us take this as a normal part of eating fresh organic apples… but have you ever wondered why it happens and how you can prevent apples from browning? Let’s peel the apple and find out. Why do Apples Turn Brown When They are Cut? Basically, the reason is this: fresh cut apples turn brown when iron-containing chemicals in the apple react with oxygen in the air. So when you cut open an apple, an enzyme (tyrosinase) in the flesh reacts with oxygen to turn polyphenols into melanin (the same pigment that makes you tan). There is nothing wrong with the apple and it still tastes fine – it just isn’t as white as when it was first cut. If you are like me, you most likely are willing to deal with the cosmetic changes. But an apple growing company from the Okanagan Valley of British Columbia has different ideas, and has applied to produce a genetically engineered apple that does not turn brown when sliced. It would be known as the Arctic Apple and would contain a synthetic gene that sharply reduces the enzyme responsible for the browning. 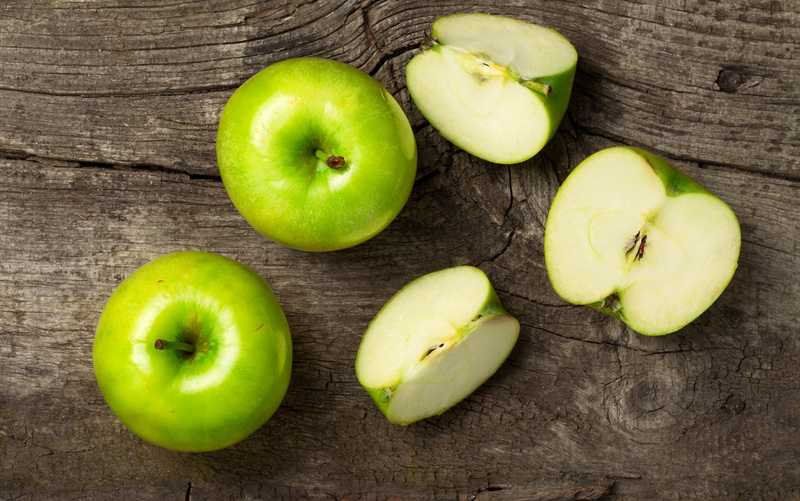 Choose apples that are less prone to browning. Try a squeeze of lemon juice! 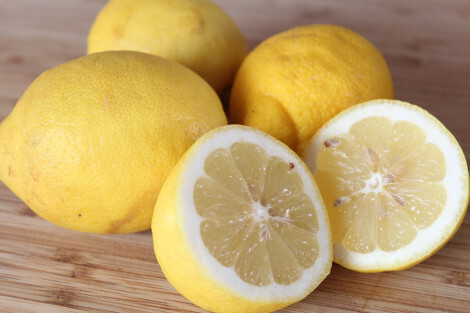 It will inhibit the browning of a freshly cut apple because lemons are high in citric acid, a natural anti-oxidant. Consider using high-quality knives, as they can reduce the oxidization that occurs from using lesser quality steel blades.